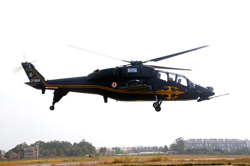 HAL’s key indigenous products HTT-40 (Basic Trainer Aircraft), first indigenously upgraded Hawk Mk132, named as Hawk-i, Light Utility Helicopter (LUH) and Light Combat Helicopter (LCH) will fly at the 11th edition of the Aero India 2017 scheduled from February 14 -18, 2017. “HAL is geared-up to display recent advancements in fixed and rotary wing segments”, says Mr. T. Suvarna Raju, CMD, HAL. The main attraction of HAL’s indoor pavilion spread over in an area of over 1282 sqm is a mock-up of Indian Multi Role Helicopter (IMRH). The pavilion seeks to promote HAL’s excellence in technical, research and operational areas in line with its stature as India’s largest Defence organization. 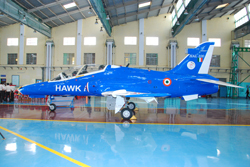 “Visitors will get an opportunity to know about Advanced Hawk which will be kept on display in front of HAL stall. 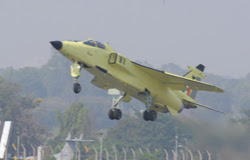 Also, at the static display, HTT-40, upgraded Jaguar & Mirage 2000, LCH and LUH would be crowd pullers,” adds Mr. Raju. 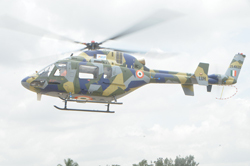 In addition, the customer demonstration flights would be held for ALH Mk III Dhruv and Mk IV (Rudra). HAL will also hold business meetings with OEMs, sign agreements and contracts with business partners for various projects during the Aero India -2017. 21, and Yak-152 aircraft at the stand of UAC. display and in the flight program of the air show. Bengaluru -- The United States is proud to be a leading contributor to Aero India 2017. Our robust participation is a testament to the strength of the United States and India’s strategic partnership. The high-level U.S. delegation, impressive array of American military platforms and personnel, and significant representation from U.S. industry are a concrete example of our enduring ties. U.S. assets this year include F-16C Fighting Falcons, a P-8A Poseidon maritime patrol and reconnaissance aircraft and a C-130J Super Hercules transport. A Pacific Air Forces F-16 demonstration team will showcase the capability of one of the U.S. Air Force's leading fighters and a combined India-U.S. parachute demonstration is also planned. The U.S. Government delegation includes MaryKay Carlson, Chargé d'Affaires of the U.S. Mission to India; Beth McCormick, Director for the Defense Technology Security Administration; Heidi H. Grant, Deputy Under Secretary of the Air Force, International Affairs; Keith Webster, Director, International Cooperation at Office of the Secretary of Defense; Robert Moore, Deputy to the Commanding General, U.S. Army Security Assistance Command; Major General Abel Barrientes, Individual Mobilization Augmentee to the Vice Commander, Pacific Air Force; Karen Williams, Senior Advisor, Bureau of Political-Military Affairs, Department of State; and Dr. Azar Shahood Ali, Chief Scientist, Pacific Air Forces headquarters. 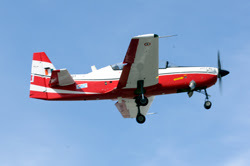 Over 20 U.S. companies are participating in Aero India, 17 with exhibits in the U.S. Partnership Pavilion with three companies recently entering the Indian market and five new to the show. U.S. participation in Aero India provides industry and the military services opportunities to strengthen military-to-military relations and invigorate defense cooperation as we work together to safeguard against global instability, protects freedom of navigation in the air and sea, and combat terrorism and violent extremism. This robust public and private participation from the United States in Aero India demonstrates the importance we place on on advancing our Major Defense Partnership with India.